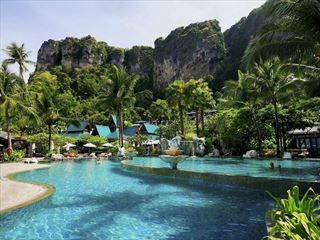 Now re-named Centara Grand Beach Resort and Villas Krabi. Majestically located within its own private bay. 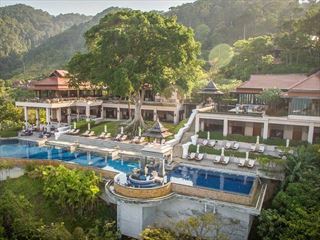 Central Krabi Bay Resort enjoys stunning views of verdant limestone formations and an extensive expanse of pristine white sands lapped by crystal clear waters. 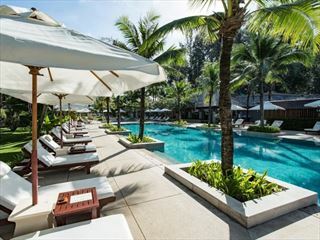 Located only 30 minutes from Krabi airport, the resorts centre, Ao Nang, with its extensive range of shops, bars and restaurants is only minutes away from Central Krabi Bay Resort. Majestically located within its own private bay. Central Krabi Bay Resort enjoys stunning views of verdant limestone formations and an extensive expanse of pristine white sands.